Royal Oaks is charming community shopping center situated in the popular and heavily residential Valrico area of eastern Hillsborough County. 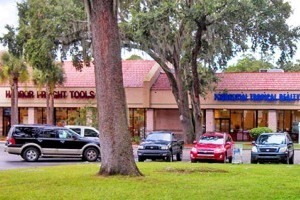 Anchored by Crunch Fitness and Harbor Freight Tools, this quaint center offers mature landscaping and a captive local demographic. The center currently offers two inline spaces, 2,100 square feet and 3,850 square feet respectively, and offers easy and immediate access from Bloomingdale Avenue.